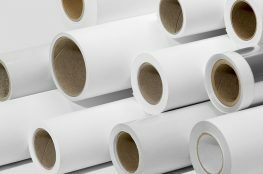 Polymer Protective Packaging is the country’s leading provider of protective packaging products in a variety of markets, including the automotive, medical, commercial, furniture, health / beauty, and food & beverage industries. Our ISO 9001:2008 certificate allows us to be readily available to serve a variety of markets. The importance of Protective Packaging cannot be overstated. While the need for Protective Packaging is obvious for some shipping items, such as glass or electronics, the appropriate Protective Packaging is necessary for many other items.